This is the training manual and workbook for Marianne Wells Yoga School’s 200 Hour Teacher Training. The training program, offered in Costa Rica, gives you the proper foundation for teaching yoga safely and authentically. 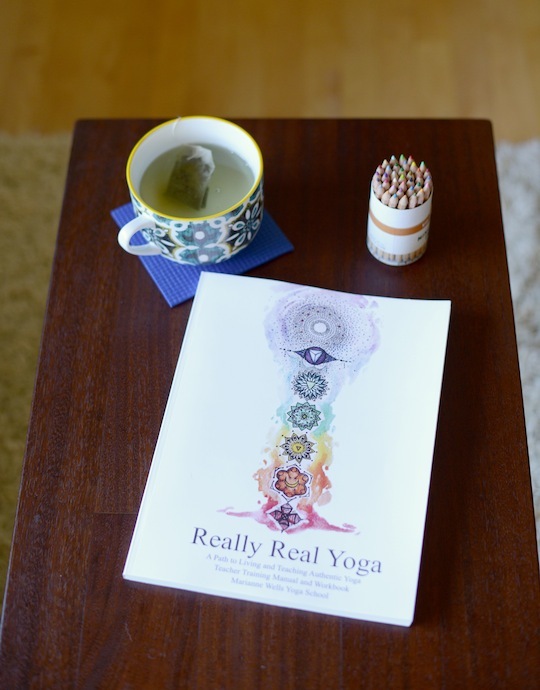 This workbook includes chapters on anatomy, alignment, the Yoga Sutras of Patanjali, Ayurveda, Pranayama, the Chakras, the Kosha bodies, and in-depth exploration of yoga asanas.